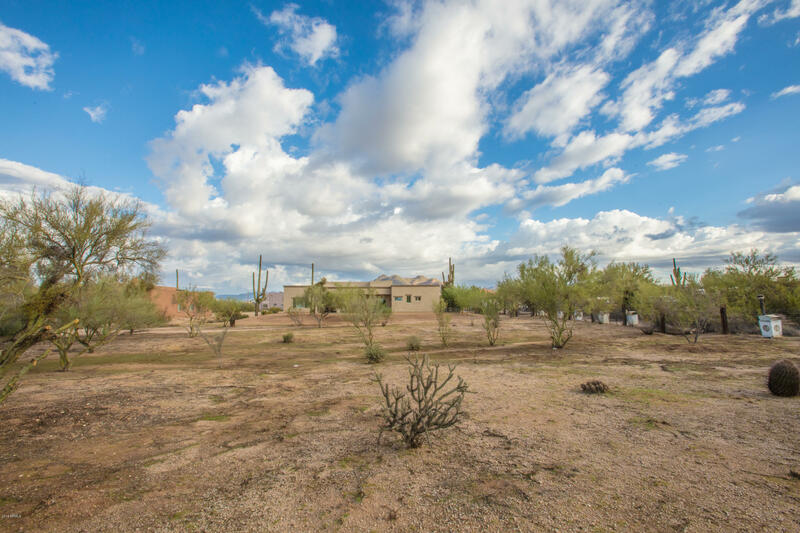 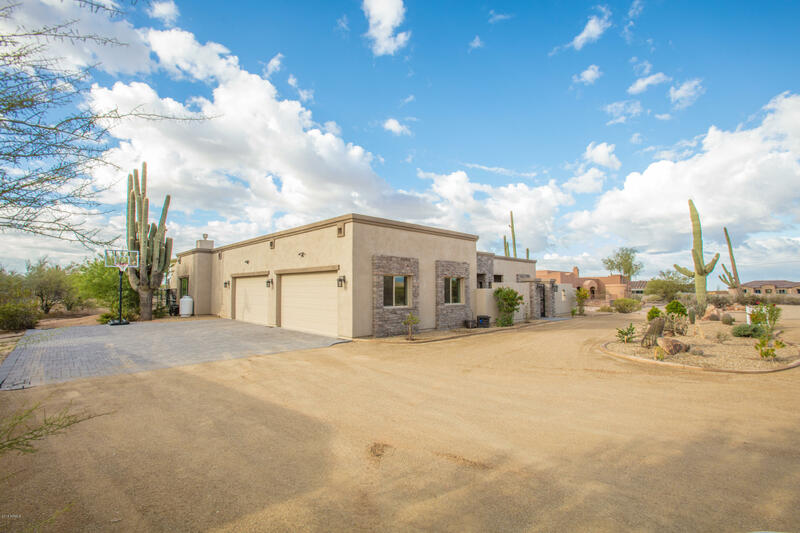 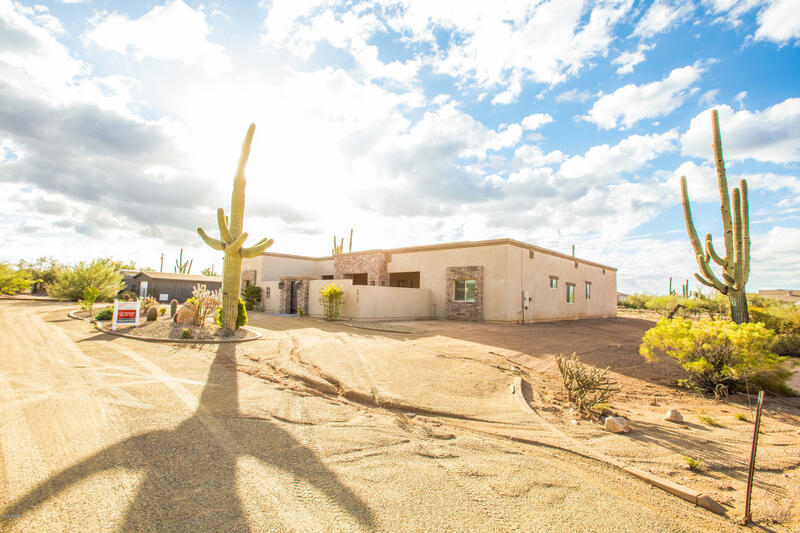 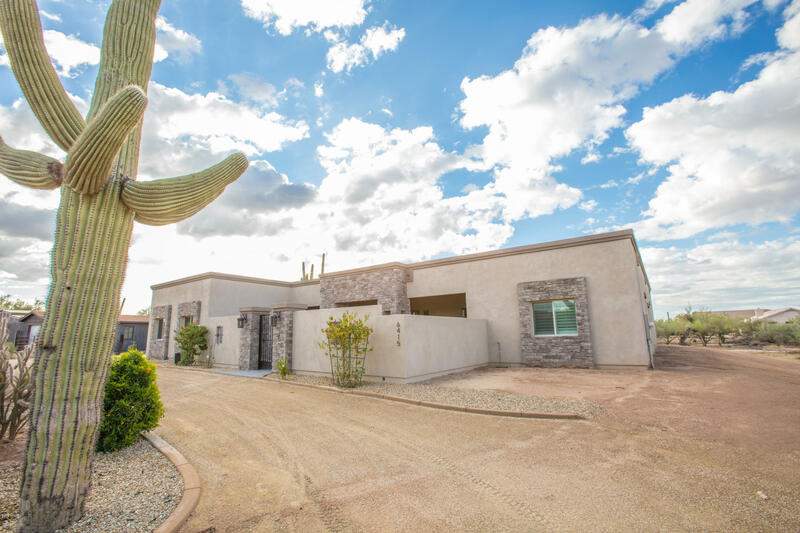 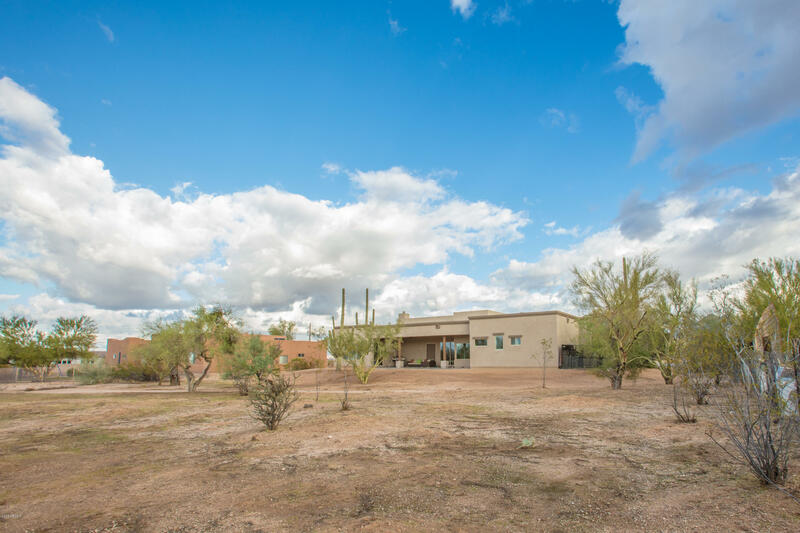 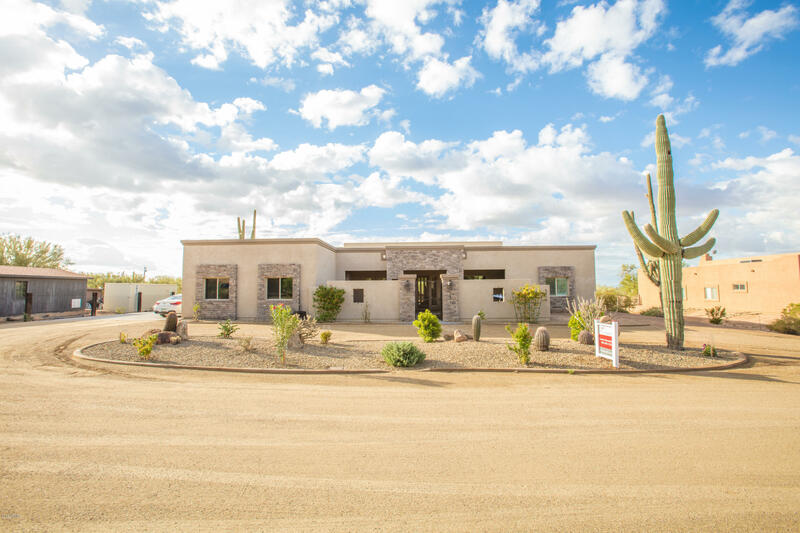 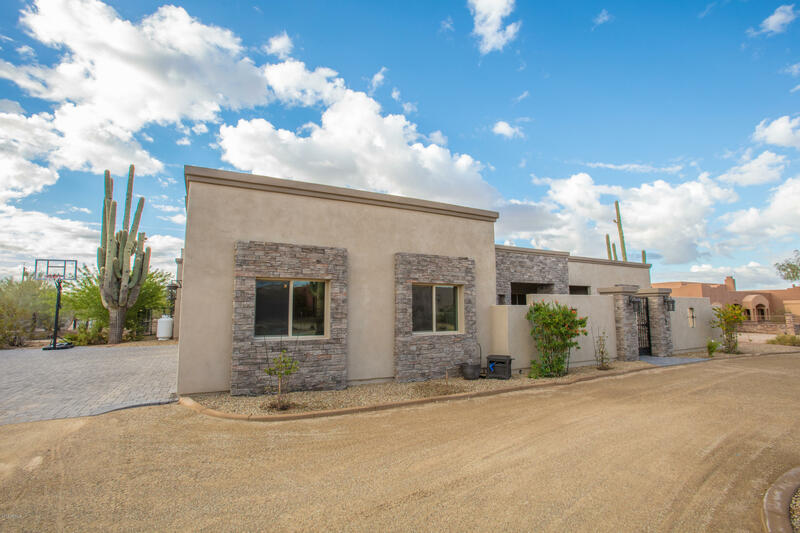 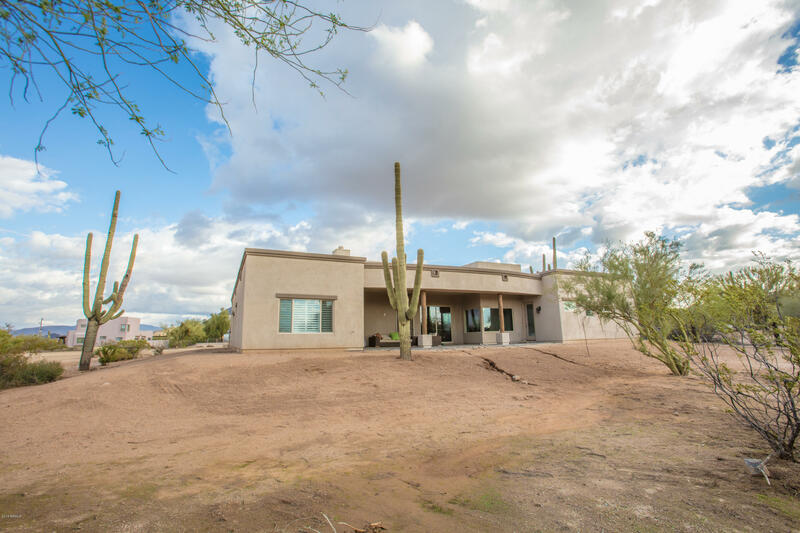 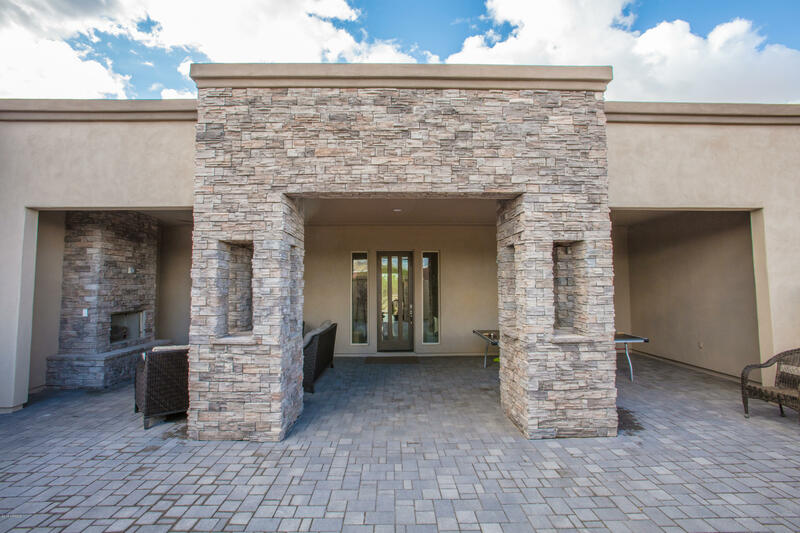 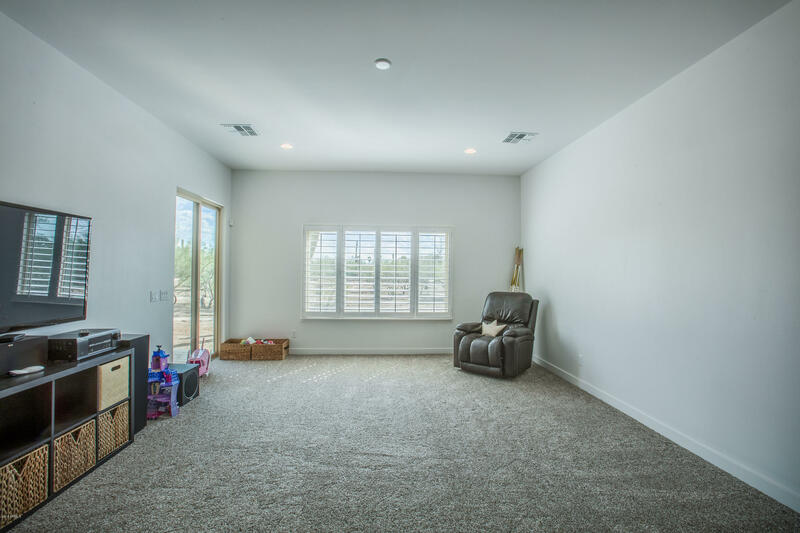 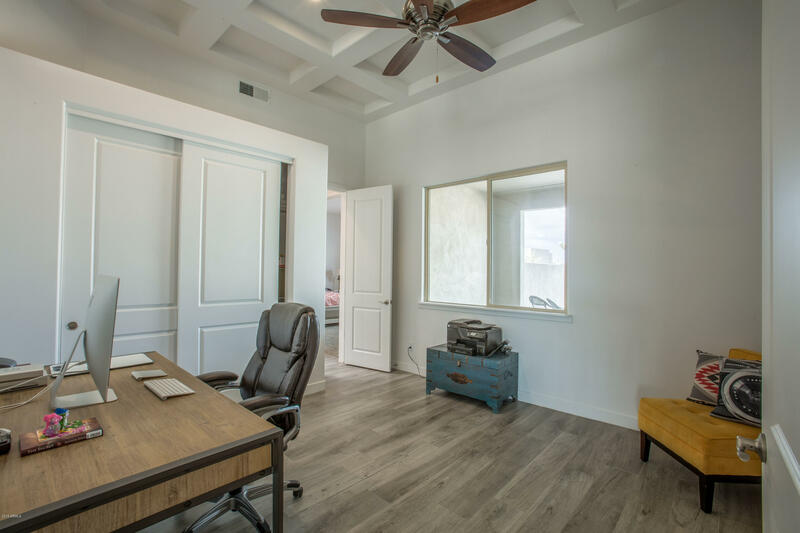 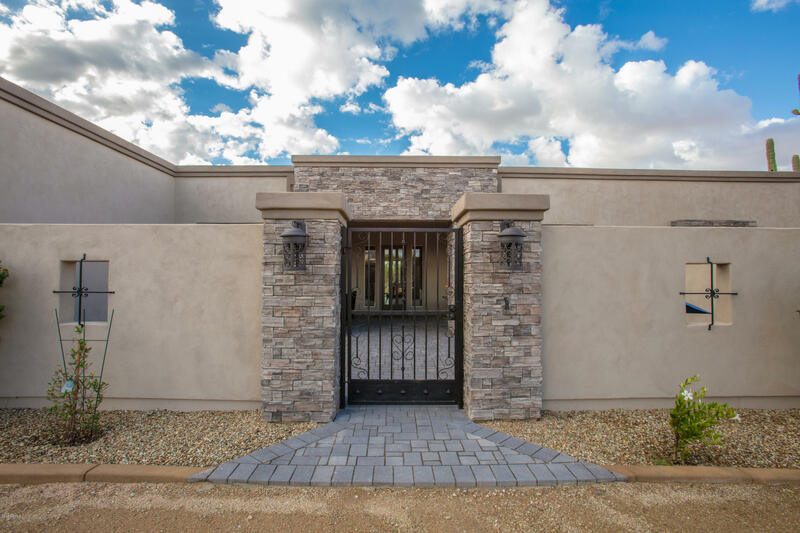 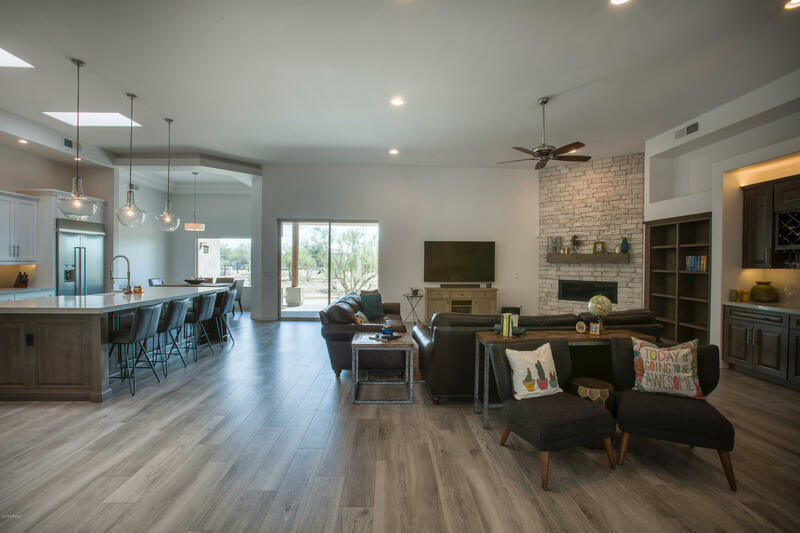 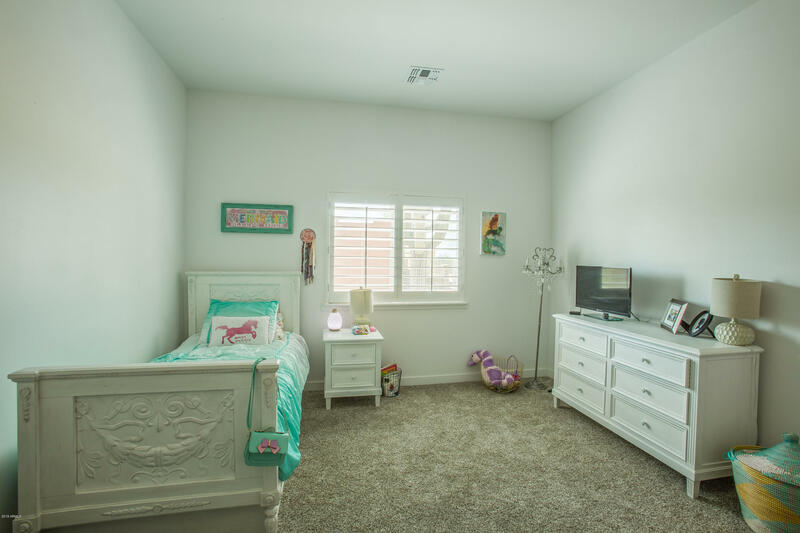 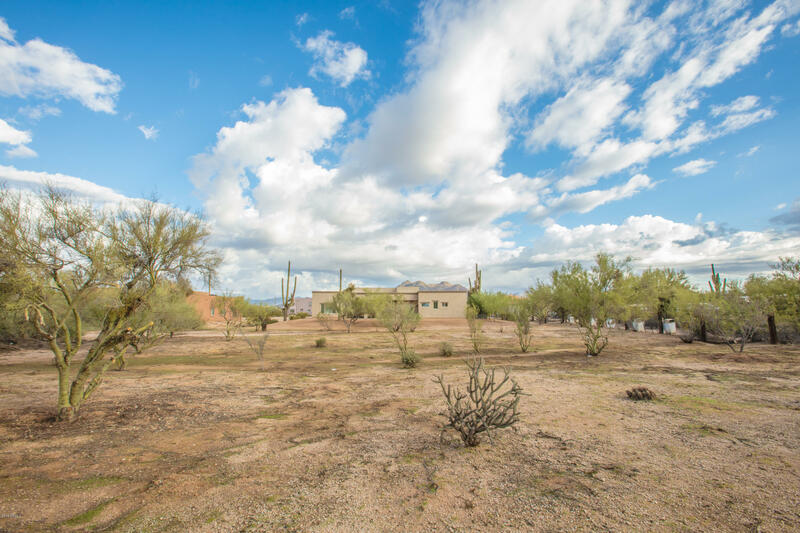 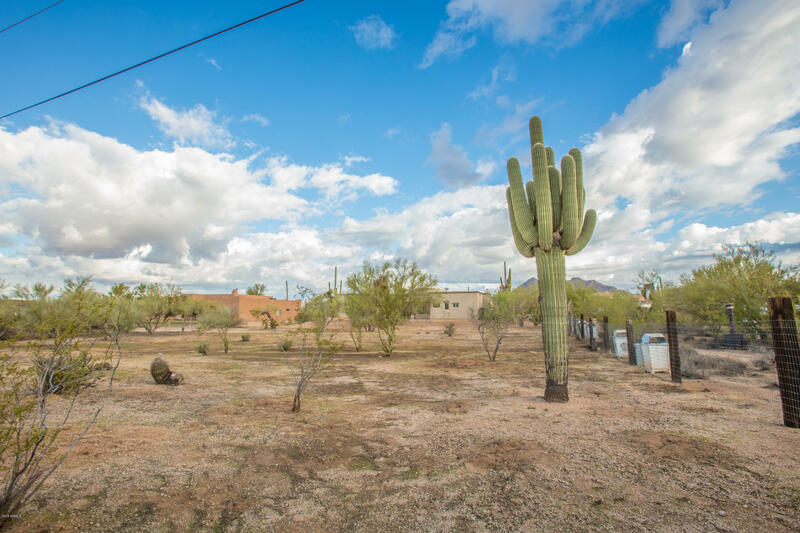 As a pristine horse property located on the Scottsdale/Cave Creek border, enjoy the quiet desert life with all the amenities the city has to offer just minutes away. 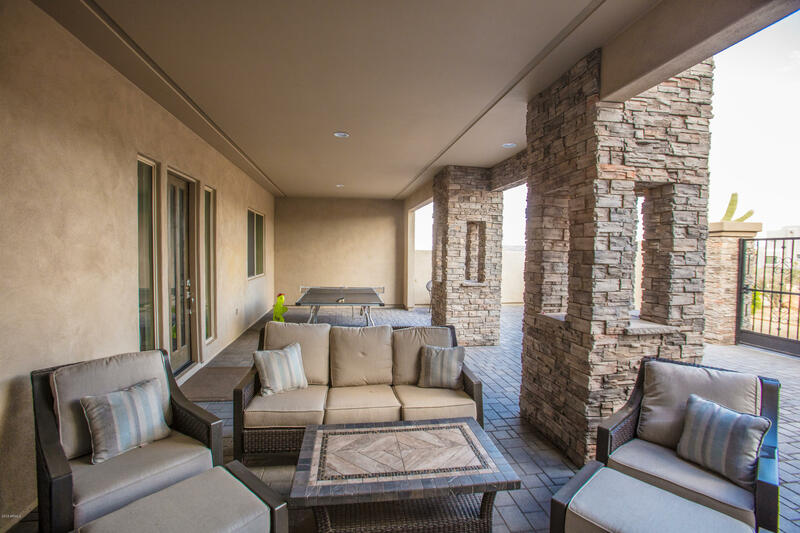 Fall in love with mountain views and gorgeous sunsets unobstructed by city lights or tall buildings. 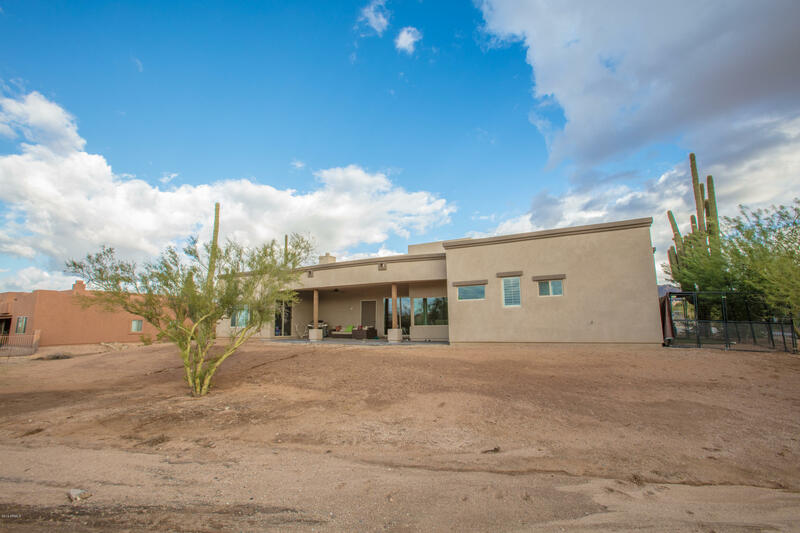 This truly has all the best qualities that desert living has to offer. 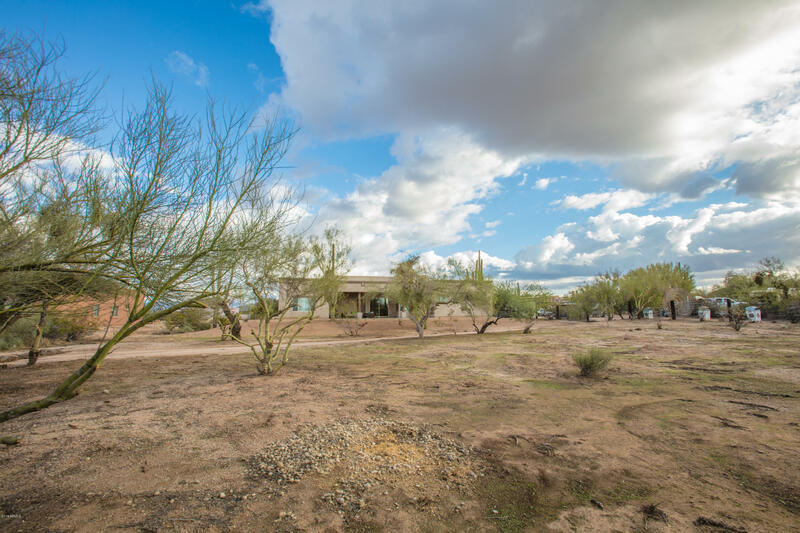 With over 180 feet to the back property line, you can build your dream barn and arena right off your back porch. 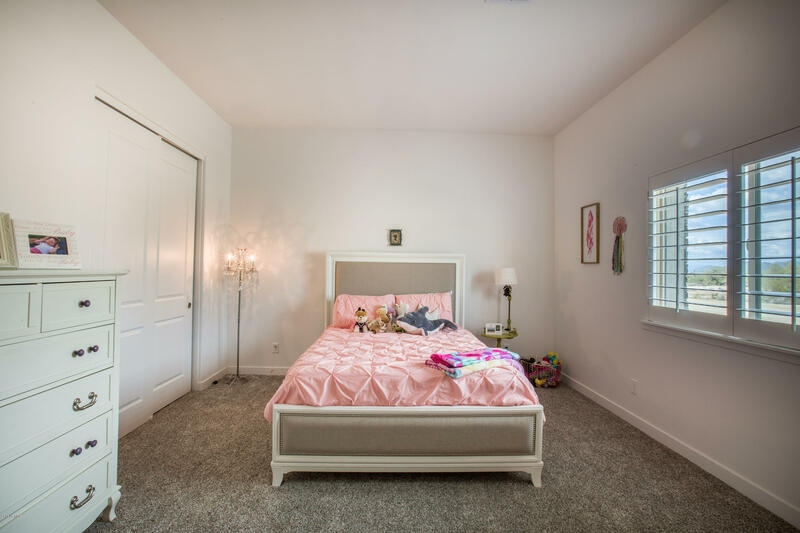 (approved plans available). 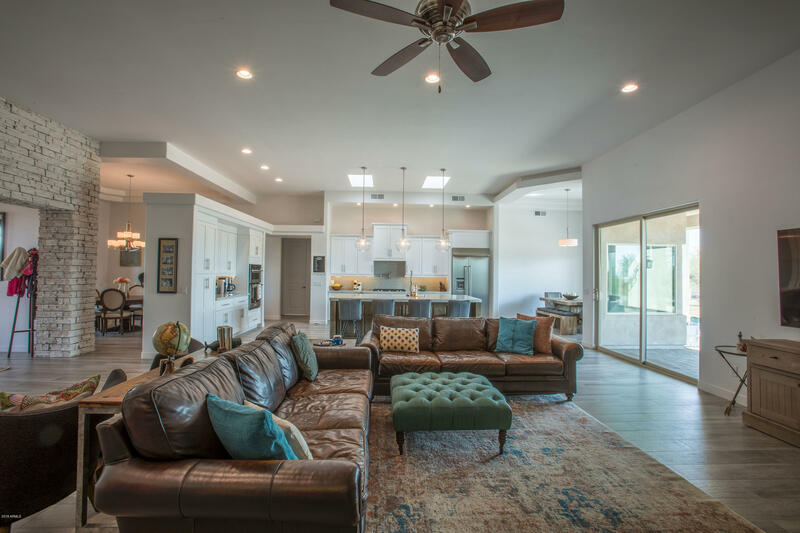 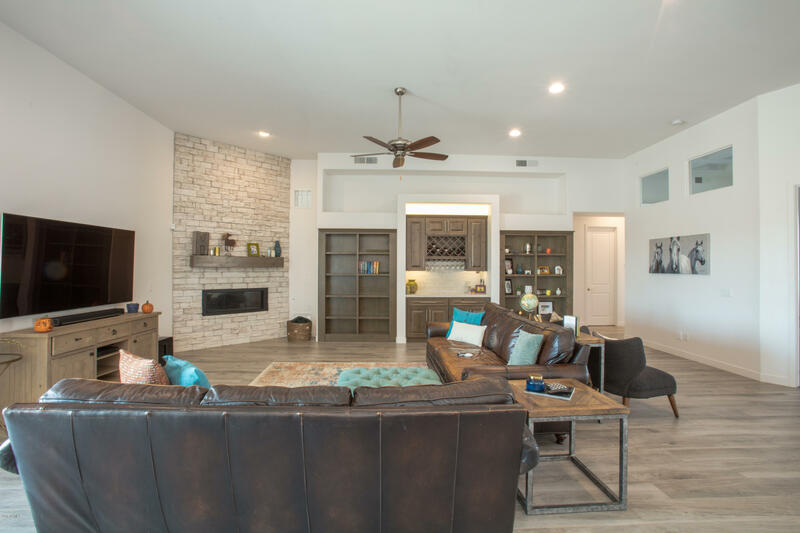 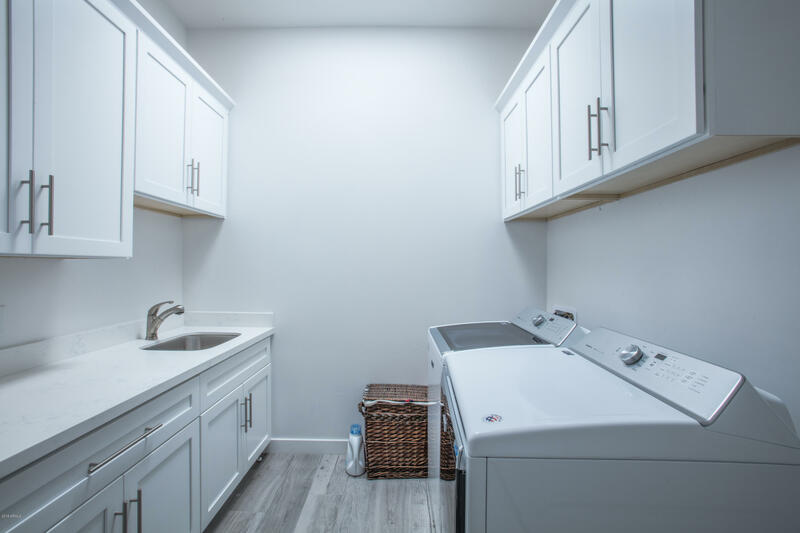 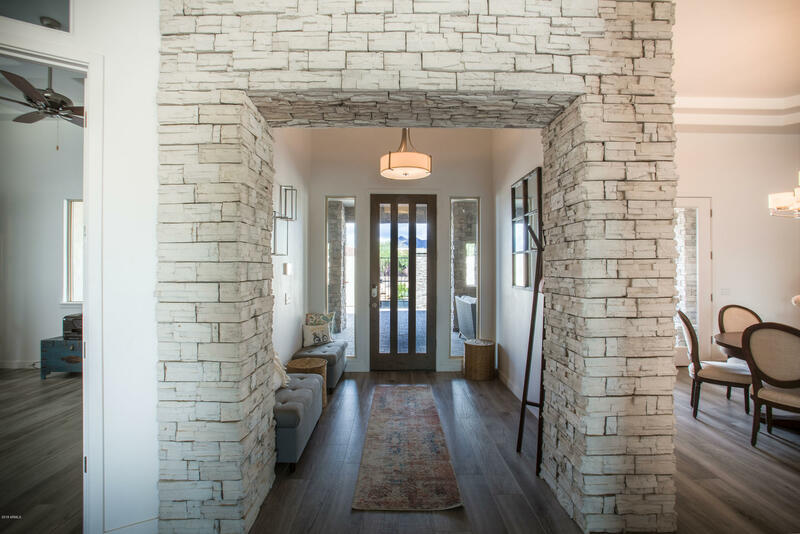 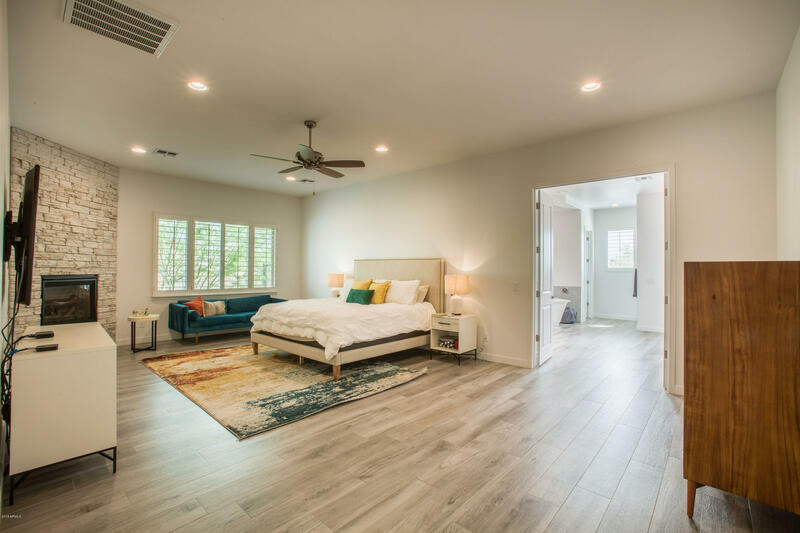 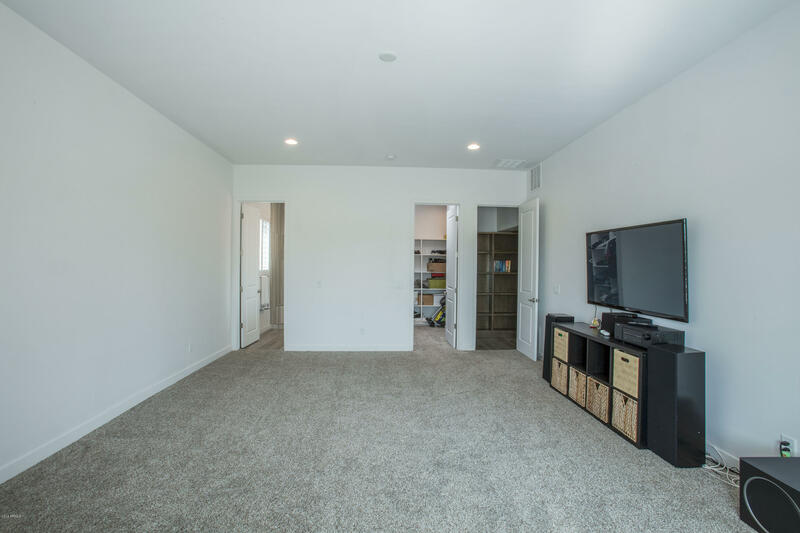 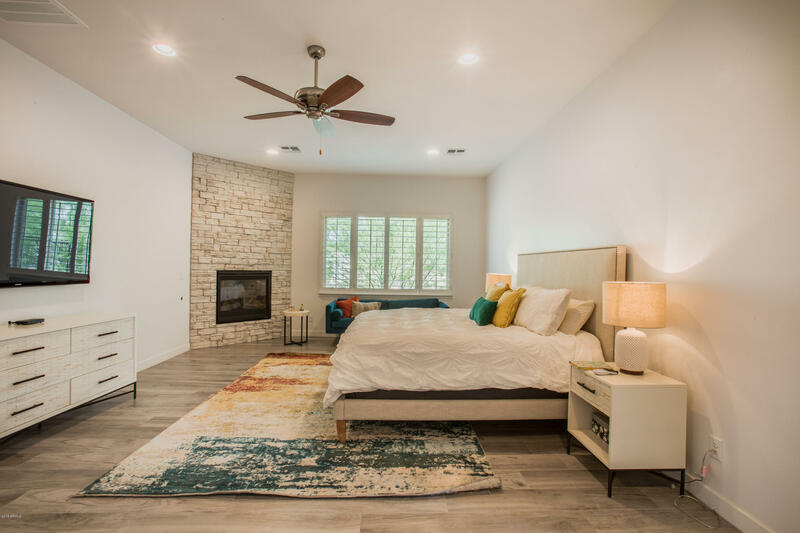 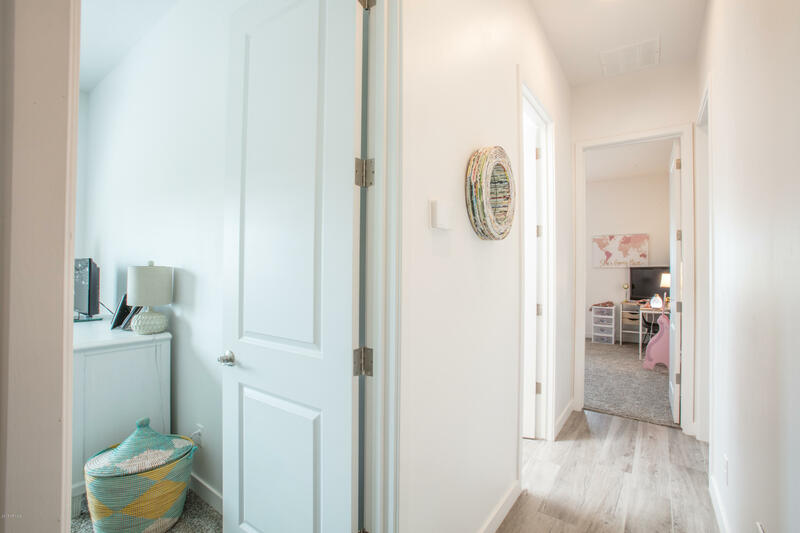 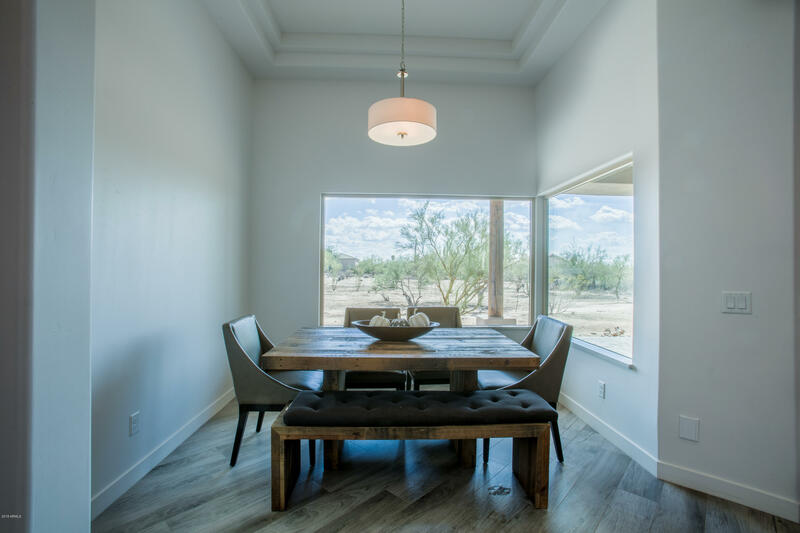 Inside you will find a stylistic and an open modern look with over 4000 square feet of living area, split floor plan, and a private guest suite (attached). 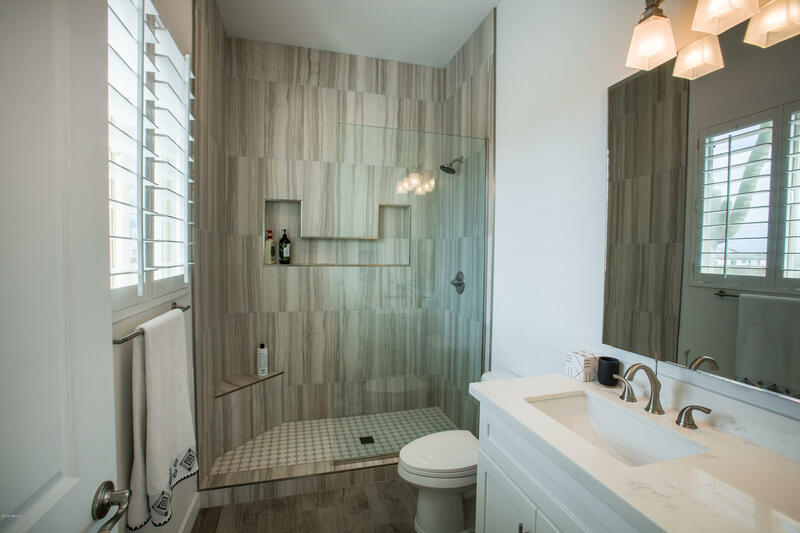 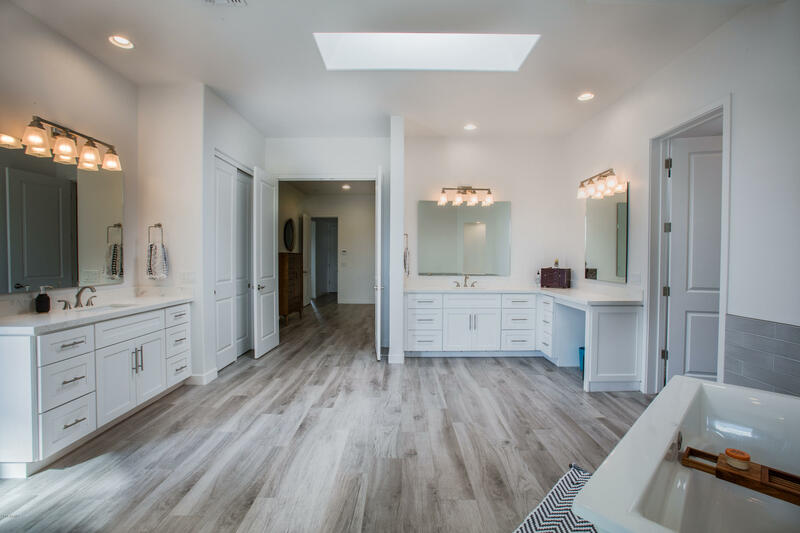 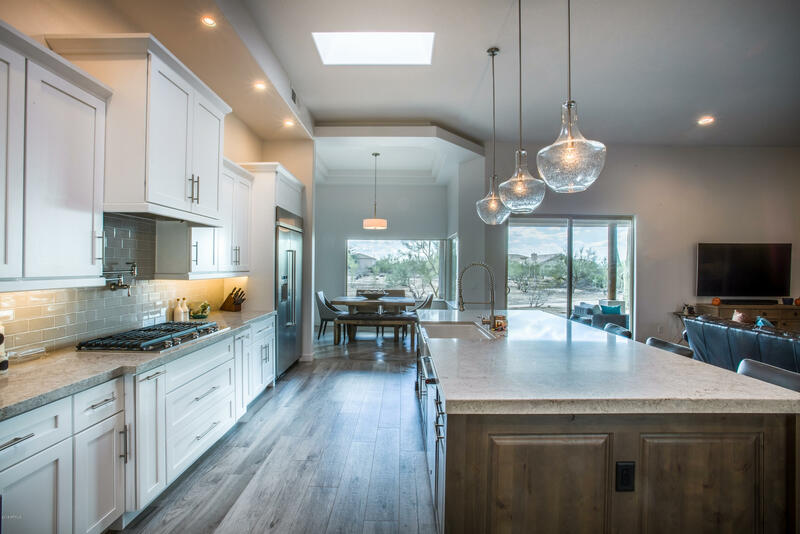 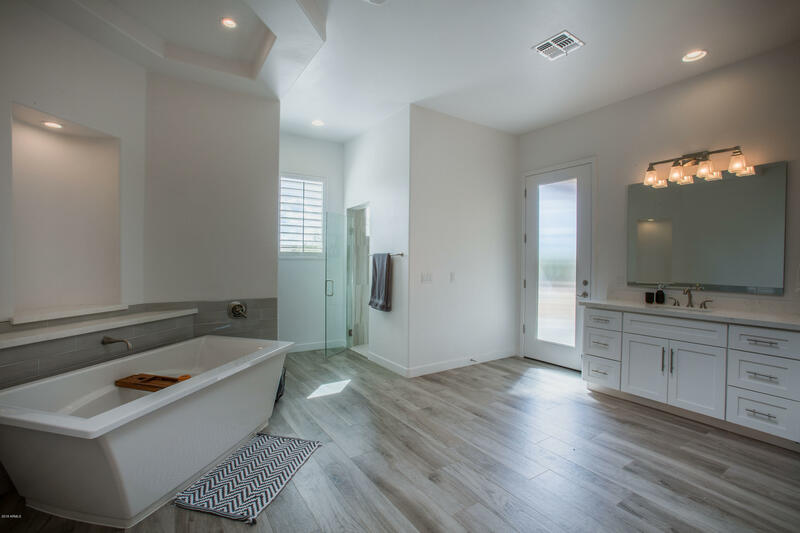 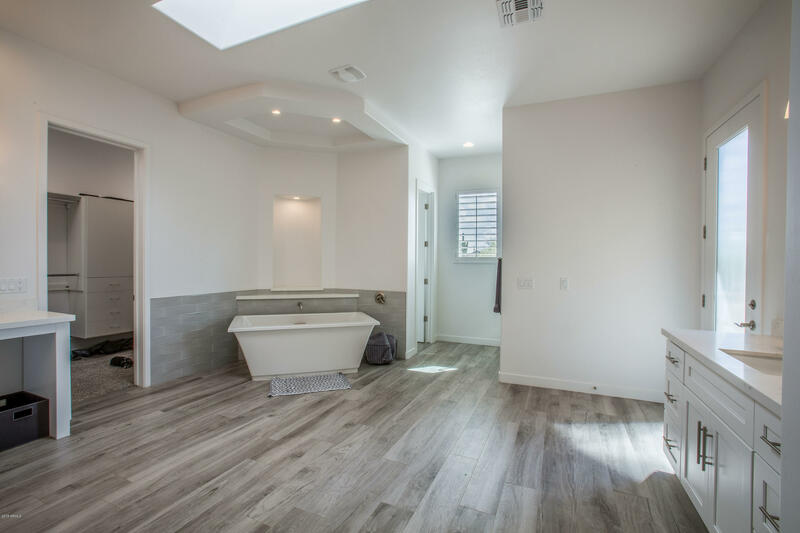 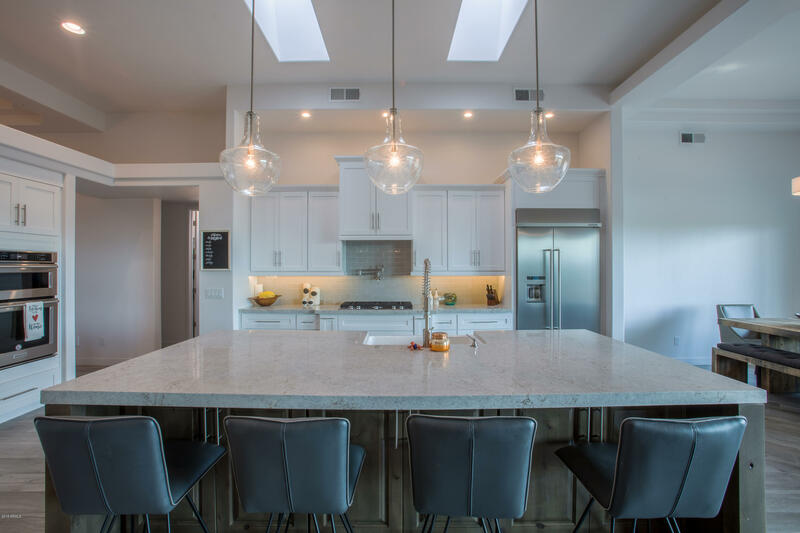 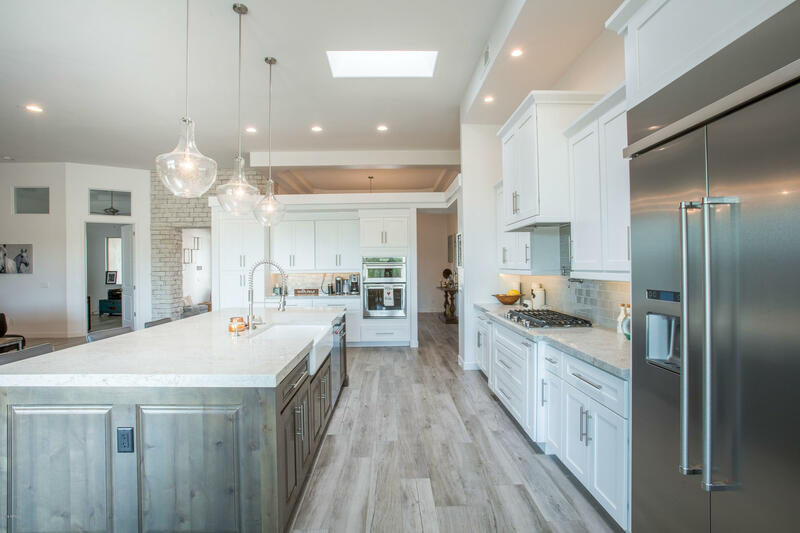 Gorgeous ceramic tile and quartz countertops thought the entire home along with custom cabinetry to match.